Try making your pizzas into pumpkins. 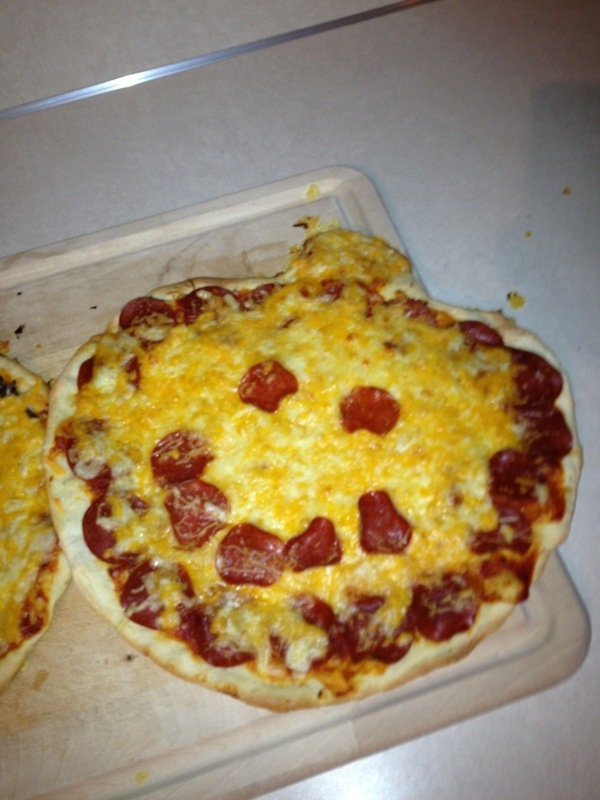 Use the toppings to create a face! Be creative using what you like.